Helical or Edge Wound Air Coils. Capable of handling very high current and High Temperature. The parts listed below are CWS standard off the shelf parts. 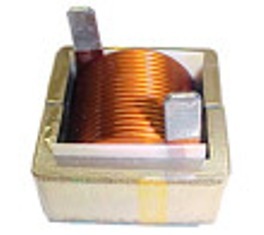 For custom requirement, please specify the specs (size, inductance, current) and we built to meet the specs. 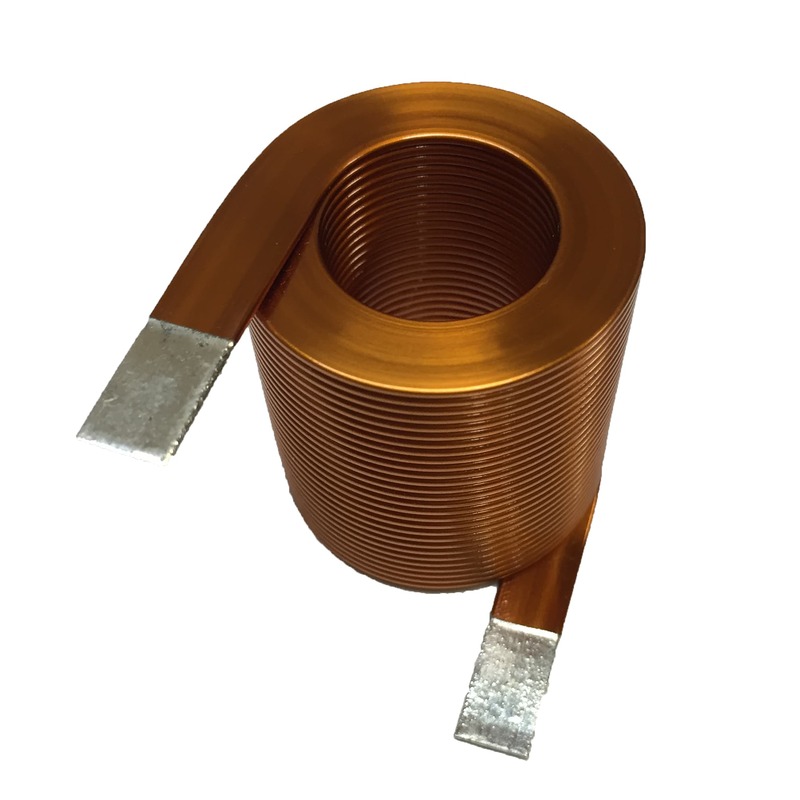 Insulation rating is 200 deg C.
CAC Series High Current Air Wound Inductors. 1) The prices shown below are for low volume quantity. Please call 800-377-3244 or email sales@coilws.com for larger volume OEM pricing. 3) The data shown below can be sorted by clicking each column header.Click once again to sort in reverse order. 4) "Inductance at 1 Khz" ( 2nd column from left in table below ) is the inductance measured at zero or very low DC bias current. 5) "Current Rating" ( 3rd column from left in table below ) is based on a 40 deg C temperature rise at an ambient temperature of 90 deg C. This is the DC bias current through the inductor that will cause the inductor will reach a max. temp. rise of 40 deg C. above ambient with NO AIR FLOW.